You are here: Home / Den Talk / Welcome to The New BCLionsDen.ca! Welcome to The New BCLionsDen.ca! As the BC Lions begin the process of tweaking their roster in preparation for the 2014 season, I thought it was time to give the site a bit of a makeover as well. As such we present to you the new and improved (we hope) BCLionsDen.ca. There were a few reasons for the makeover and I think you’ll find the changes will give you a more pleasurable experience as a fan. The site has been completely re-coded using the Genesis 2.0.2 Framework by StudioPress. This means a completely mobile responsive, HTML 5 backbone that will let you enjoy the site if you’re on your laptop, pc, tablet or mobile device. The Genesis Framework and HTML 5 also ensures compatibility with a wide range of browsers. It’s more secure and we think you’ll also find a noticeable speed difference on the site. I’ve always liked the “look” of the site and didn’t want to change too much in that regard. What we have done is tried to condense an reorganize the site to pack more information at your finger tips. We want you to feel that when you visit this site you have quick access to the information you need. Our new navigation menus are designed for just that. Our new top navigation bar has links to some great resources for your Lions and CFL needs. Instant links to BCLions.com, CFL.ca and their subpages take you to schedules, news, stats and more. Lowell Ullrich and his Fifth Quarter blog is linked so that you always get the latest and most accurate news about your BC Lions. There are also links to CFLDB, a great stats and information site, the CFL Players Association and TSN’s CFL page. The new main navigation menu links you to our Pawdcasts and a revamped photo gallery. Our Ring of Honour page, which was kind of buried in the old site is now prominently featured and cleaned up with tribute pages for some of the greatest Lions of all-time. I always get asked about our tailgate parties, so now the information is one click away. A major part of this sites goals are to engage Lions fans with the power of social media. 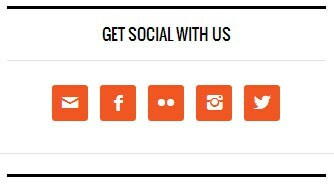 With that in mind, we’ve provided an easy way for you to follow us on all of our social platforms. We have also added live RSS feeds as another way to keep you up to date, and we’ve added a Facts and figures rotating banner on the front page that we will update regularly with facts you may or may not know about the BCLions and the CFL. Of course, a site is nothing without content. We will continue to try to give the few of the fan and also churn out more Pawdcasts. We’re also hoping to have some fun contests and hopefully a Pickem Pool for 2014. I hope you enjoy the new site. There are still a few things that need to be done, and their could be some bugs that come up, but for the most part I felt it was ready to launch. Leave a comment and let me know what you think!